Stylist Tip: Wear with low-rise denim and lace-up flats for a casual weekend look. Length: 20 in. Bust: 46 in. Waist: 42 in. Sleeve: 27 in. I'm in love with this sweater! I was skeptical to buy it at first, but it was worth it! 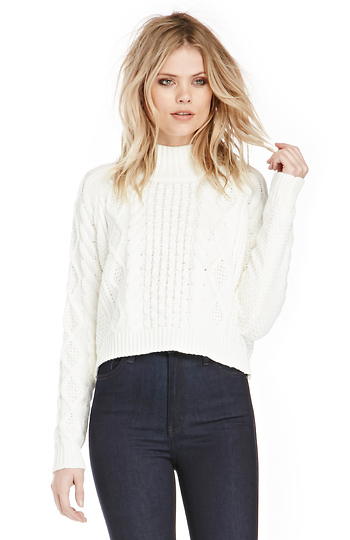 The detailing of this sweater is so beautiful and looks effortless at the same time.